Love Don’t Cost a Thing deserves more from you. After re-watching “Love don’t cost a thing” starring Nick Cannon and Christina Milian the other night, I checked the movie rating and it has a 13% on rotten tomatoes. Which made me ask, is this movie any worse than the other high school/teen movies? When you look at them they’re all pretty much trash minus like, Mean Girls and Dope. (By the way, I love trash movies. Black, trash rom coms are my specialty.) Can’t Hardly Wait and even, dare I say, Pretty in Pink are not great movies overall but they’re the ones that are always mentioned. There’s a formula that most of the great teen movies follow that make the plot holes bearable and I’m just saying, “Love Don’t Cost a Thing” hit all the marks! I’ll admit the soundtrack fell a bit short, but I’d still like to point out that Nivea, Nicole Wray, and Jill Scott are featured on that thang. So, I’m not allowed to completely dismiss it. We need to give this black teen movie its props. Christina Milian is a baddie in this movie. She can definitely go up against Jennifer Love Hewiit any day. I distinctly remember my juicy sweats getting lower and my tank tops getting shorter because of her. And those thick, white, French tips! Phew! I love a good makeover scene. This one wasn’t a huge transformation as far as looks go (Princess Diaries is the goat idc), but it was definitely entertaining. 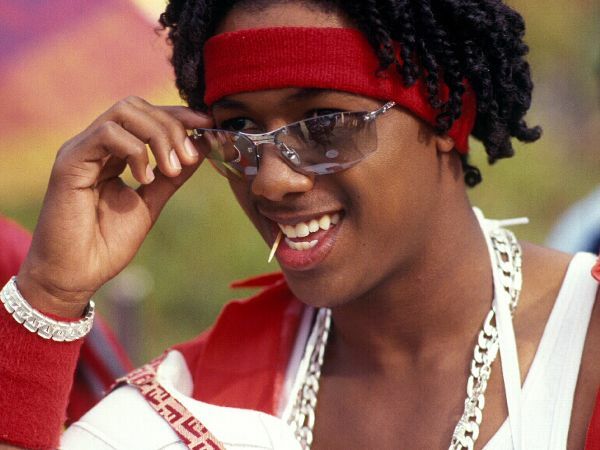 Nick Cannon killed the reveal and his new persona. The early 2000’s were all about black fashion brands like Sean John/ Enyce, braids, air force ones and rhinestones. I think watching this movie when it came out, the outfits felt a bit exaggerated. But rewatching, it was pretty on point. We were really wearing bandanas as shirts man. Never forget. Usually this is the token black character See: Gabrielle union, but they flipped this and had the token white couple. Small victories. I love to see the underdog win and I also love making out. 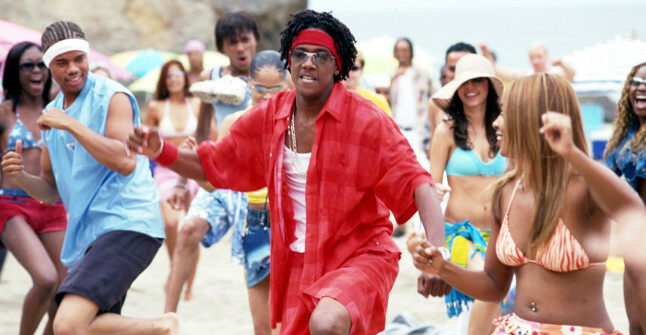 You can’t make a teen movie without this scene and they made it juicy! Hopefully I won you over with these compelling examples and stolen visuals. All I ask is that you bring the movie up in conversation when you’re discussing the others. Thassit! And one day, with all of my knowledge of trash movies I’ll write (and produce) another black high school/teen film for you guys. Until then, appreciate the ones you have.